Artificial Intelligence is a tool that has started affecting our lives in a huge manner. At GoodWorkLabs, we have analysed and understood its potential to transform businesses across varied industries. Just like other technologies we are prepared and geared up to tap into the potential of AI. At GoodWorkLabs we have set up an advanced center of Big Data and Artificial Intelligence technologies and have worked with a slew of clients across Startups and Fortune 500 companies to build multiple AI solutions for their business. 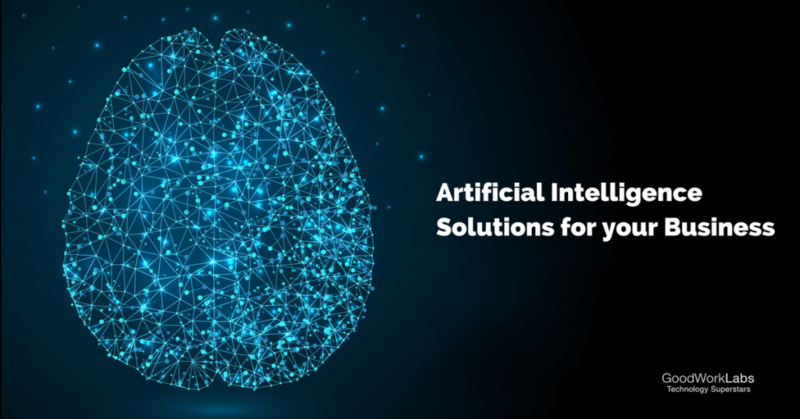 Visit our AI portfolio to know more about the AI solutions we have implemented. AI has made its way out of the labs and into our daily lives. And judging from the pace of activity in the startup community and the major IT powerhouses, it will only grow in its ability to help us get things done. Most AI solutions today are fielded by the big players in IT. For example, Apple’s Siri or the capabilities Apple has embedded directly in iOS11, Google’s many savvy search solutions, Amazon’s very smart recommendation engine, and IBM’s Watson, all of them have proven that Artificial Intelligence is here to stay. We expect to see a new wave of AI solutions that deliver value from smaller start-up companies as well. This is a very crowded space, with plenty of VC funding for entrepreneurs with capabilities in a wide-range of AI disciplines. We are heavily dependent on Artificial Intelligence, for example when we order from Amazon, ask Siri for directions, chat with a customer service representative, get fashion recommendations, or add a suggested friend on Facebook, fraud detection, music recommendations, we are indirectly interacting with an AI engine. Here is how GoodWorkLabs can help you harness the potential of AI in your business model. What if your sales technology was so smart that it knew the deals you were working on through your calendar, email, and phone interactions? That’s AI in action. It automatically builds and monitors your pipeline so that you can focus on closing more deals rather than on manual data entry. Too much on your plate? Use AI as your sales assistant in finding the data you need, reminding you to follow-up with certain prospects, and ensuring nothing falls through the cracks. Marketing teams today have better and smarter ways to attract new customers. The big data trend gives companies a jaw-dropping amount of information on buyer behavior, but no real way to utilize it. Just add AI, and you’ve got accurate predictions and qualified leads. Now marketers can categorize and build audiences based on the likely future actions of users. AI can even automate email timing, offer customer recommendations, and predict customer sentiments and purchasing behavior from time to time. How do you know when customers aren’t happy if they don’t tell you? Until now, customer service departments were half-expected to employ mind readers to understand customer needs. Now AI can capture signals that your team might miss and can find correlations and sentiments in customer data. If it seems like a customer may not feel so great about your company, you can take proactive steps to turn the relationship around before he tells you he’s unhappy. With AI, you can create a personal shopping assistant for your customers. You can create an immersive shopping experience for your customers and understand their style preferences, pricing points and based on this real-time information, you can show popular picks and target customers who are more likely to buy your products. Creating a fashion / personal shopping assistant with AI will help you eliminate much of the researching process on both ends and bring you closer to your customers. Artificial Intelligence can be used in banks, investment firms etc to automate the daily operations such as algorithmic trading, quantitative analysis, marketing predictions etc. The potential of AI in capital markets is huge as well. Not only is AI cost-effective but also is helps to curate real-time information for clients. Artificial Intelligence can transform the future of your company by renovating your processes. Your data will be minutely detailed and more usable. And with our technological ‘know-how’, you can be rest assured of an overall process refinement. We understand the nuances of technology and implement machine learning, deep learning, natural language processing and other data sciences to ensure that we create AI that is powerful and reliable. GoodWorkLabs has worked with both Startups and Fortune 500 companies across different industries to create powerful AI solutions that have re-engineered the way companies do business. 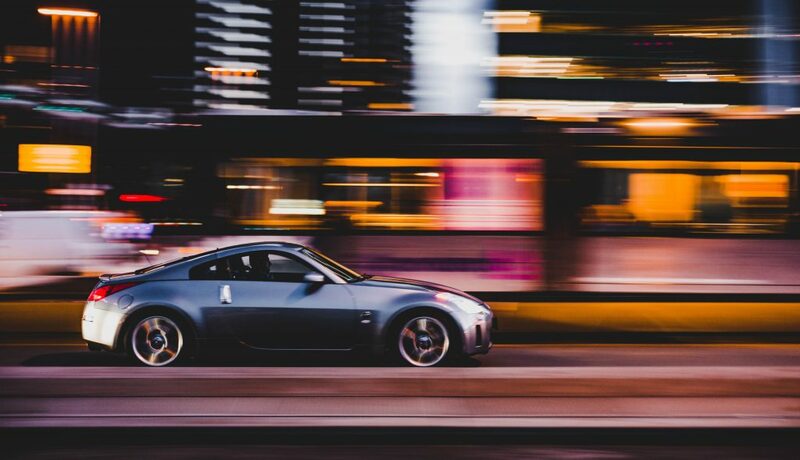 GoodWorkLabs has worked very closely with a Fortune 500 company in the automobile space to create an AI racing assistant to improve their racing track experience. The objective was to identify the most optimum path for the vehicle by analyzing the complete racing track. We analyzed the track using sensor data and also implemented state-of-the-art Deep Q learning with Tensorflow. We used the most high-performing tech stack such as Python and PyTorch to ensure speed and accuracy and built a highly effective AI racing assistant. 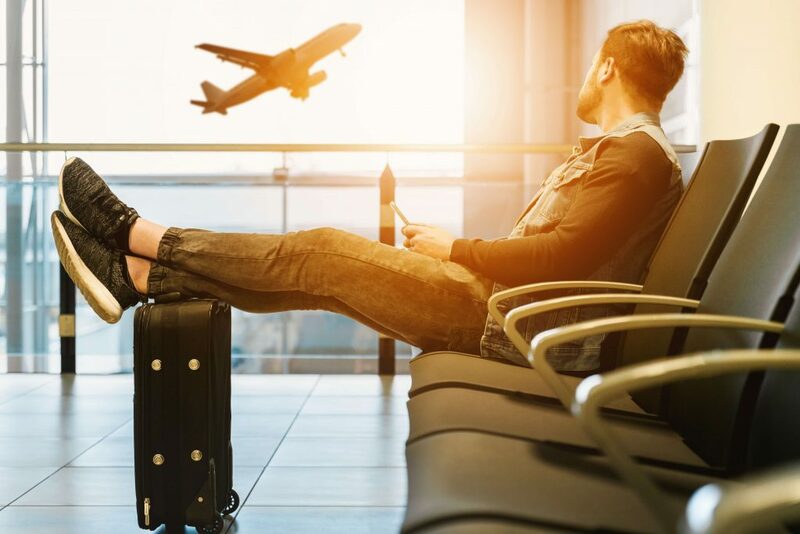 GoodWorkLabs was approached by a Fortune 500 company to build a travel recommendation engine on AI and ML models for their community based travel mobile app. Through this app, users could take trips to nearby places, explore the community etc. Now, they wanted to make the app more engaging and personalized by providing travel recommendation to users. Users were shown recommendations based on their likes and preferences and also updates from other travelers who shared similar interests. We used Machine learning models to build recommendation engines and then trained the algorithm to analyze key data points. The tech stack we implemented in building these Machine Learning models were Python, Tensorflow, Sklearn, iOS CoreML, Elasticsearch. As a result, we built a hybrid recommendation model that was both content-based and collaborative. 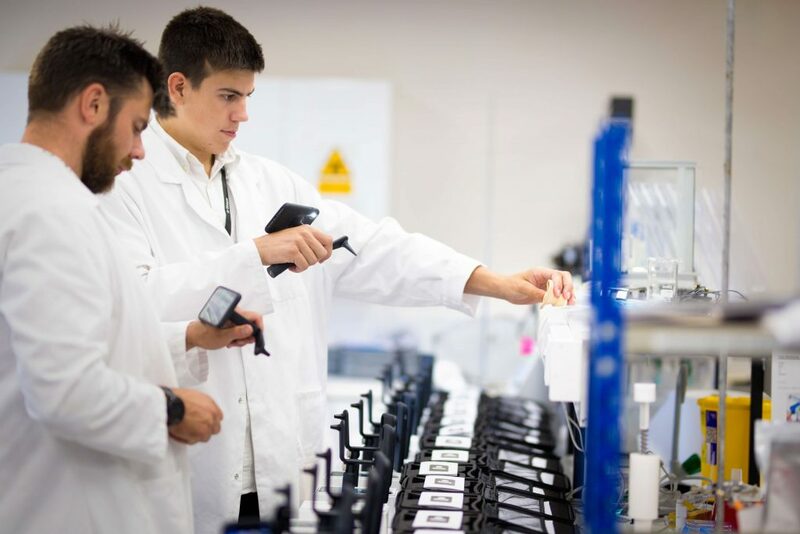 In order to extract various product-related information, a fortune 500 company in the logistics industry approached GoodWorkLabs to help them with an AI solution that enabled image scanning and processing of product information. This scanned information had to be sent to a web application for further analysis. Consult our intelligent experts on Artificial Intelligence today, and change the way your business works!